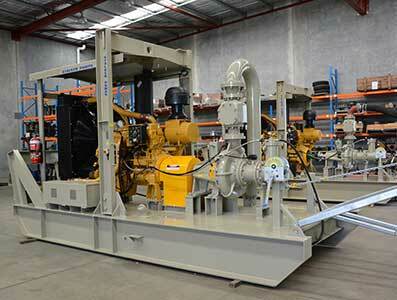 The Stalker Pumps APC Range are designed, engineered & manufactured at our facility in Perth, Western Australia. Our APC Units are customised to suit specific project needs. Our in-house casting of all metals means we can provide competitive pricing and short lead times. An experienced drafting, fabrication & installation team for complete customised pumping solutions, configured to suit a wide variety of applications including clean water, sea water, raw water, process water, waste water, sewage and hazardous fluids, as well as corrosive liquids. A professional after-sales support team with a large inventory of parts & assemblies available in a wide range of construction options; as well as consumable material options for high tensile fasteners, ‘O’rings, oil seals and mechanical seals. Base frame mounted and/or heavy duty trailer mounted assemblies available with local, national and international delivery service and supported by a reliable repair service via an Australia wide network of distributors. Fuel Tank: Bunded fuel tank. Control Panel: Engine manufacturer standard panel, or additionally client specified and/ or telemetry can be fitted. Bump Bar: Heavy duty rear bump bar. Fuel Filling standard or optional: Hydrau-Flo fuelling system. Wiring: Mine spec or MDG15 available. Pipework: Suction booms, discharge pipework – to customers specifications.